A couple of weeks ago, me and hubby (bullied into!) went to see the new Kate Winslet film, The Dressmaker. The film is set in the 1950’s and is based on the book by Rosalie Ham. 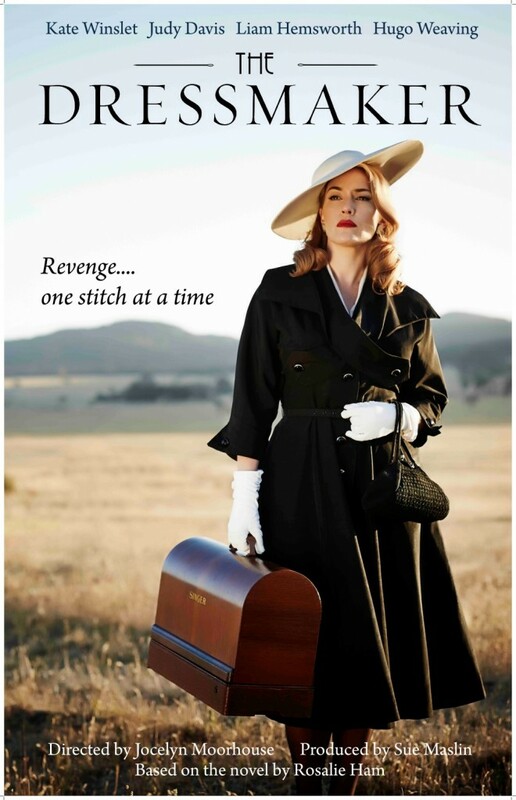 Its about a dressmaker returning to her native Australia to right the wrongs done to her in the past. Although I quite liked the film, there wasn’t an awful lot of sewing in it! However the vintage Singer sewing machine did put in quite an appearance! Nevertheless, my favourite era for clothes and fashion is the 1950’s and there were indeed some lovely gowns and evening attire to feast upon. This got me thinking, that I can’t actually remember hardly any films that involved that much sewing! From memory, there are dress making scenes in Walt Disney’s Cinderella and Sleeping Beauty, but from then on I struggle! Currently there is one programme on television (ok, so I am cheating, its not film! 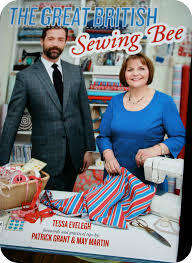 ), that I am a huge fan of – The Great British Sewing Bee. For the unitiated, this is a sewing competition for amateurs that started in 2013. Every week the sewers are set challenges and one contestant gets eliminated each episode. I must admit, I do look forward to the Great British Sewing Bee, every year I get encouraged to make the different garments that are showcased on that weeks programme. As soon as an episode has ended, I get the urge to look at my fabric stash and through all my ribbons, trims and bits and bobs, that I collect from all the haberdashery shops throughout the country and abroad. But, where does the term “Sewing Bee” originate from? 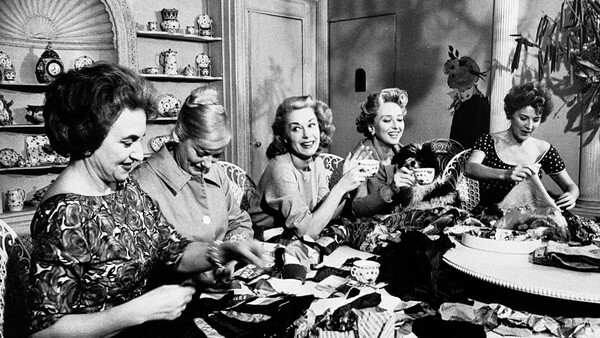 The Collins English Dictionary definition is “a small informal social gathering (usually of women) based around the activity of making or mending clothes or other things with a needle and thread.” In todays society, they are more generally referred to as sewing circles or sewing groups. Although with their origins in America, Sewing bees became popular in the UK at around the time of World War II, with the Queen Mother supporting the “make and mend” movement amongst women to support the troops. Indeed twice a week at Buckingham Palace, the Queen Mother held a sewing bee in the ballroom of the palace with the rest of the palace staff. See http://www.britishpathe.com/video/her-majestys-sewing-bee for a short clip! If anyone can recommend a “sewing film” then please leave a comment.